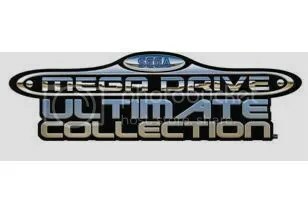 Here’s a review of the Sega Ultimate Mega Drive Collection by the lovely Reina Watt from the xbox forums,enjoy. Isn’t time travel fun? So much media for it all ranging from cars to phone boxes and more, yet none of them can quite compare to the simple time travel of playing an old video game from your childhood. This is a compilation package of 49 games, the majority of them from the Mega Drive which was released back in the early 90s and eventually retired in the mid 90s just before the Sega Saturn was released. Back in the early the SNES and the Mega Drive were the two consoles that survived and kept on surviving despite the competition from competitors who promised advanced gaming, they soon disappeared. And Mario and Sonic were the icons of the time. Now it’s 2009, the Playstation One has come and gone after a successful run, the Nintendo 64 and Gamecube had their time, Sega no longer develop consoles, with the Dreamcast’s short life almost ten years ago. The PS2 is nearing it’s lifespan after a long run and the Nintendo Wii, the X-Box 360 and the PS3 are the main consoles on the market with the Nintendo DS and the Sony PSP being the top handhelds at this time, with the DS still on top. Gaming has come a long way since the Mega Drive and SNES days. There have been compilation packs before on the PS2, first X-Box and the Gamecube. This pack contains most of the games that appeared on the Mega Collection and Mega Collection Plus with a few differences. The list above should give an idea of what’s on the disc. The menu is done in an old Mark One Mega Drive style with the games themselves shown as carts. There’s information on the games, cart and box artwork, extras like a few games to unlock and the ever useless interviews – they could have fitted more games on the disc if they had left out the interviews. The menu music is drab, but that’s to be expected. Each game has an option menu that can be accessed with the ‘Select’ button once you start a game, most just video, audio and control schemes. It’s recommended to consider having the ABC control mode on with most of the games, helps a lot. There is a smoothing feature meant for HD TV’s, but to be honest from what I’ve heard it doesn’t really help all that much with a lot of the games just looking ugly from it. The sound is as crisp and clear as ever and each game still retains the cheats and glitches as they used to have. The achievements are easy enough to get, a couple might be challenging, for example complete Mean Bean Machine, but a challenge is always good. This also marks the first time that the Streets of Rage games and Shining In The Darkness and Shining Force 1 and 2 have appeared in a Sega compilation pack outside of Japan, which makes a change since Sonic Gems never had the Streets of Rage games when it was released outside of Japan. Now for younger gamers, don’t go expecting these games to be remakes with super fancy graphics, these are all emulated and look just as they did back in the 90s. Also you may find something that’s not common in more modern games – a real challenge. The downsides however are: There is no Sonic3 & Knuckles lock on feature like with previous compilation packs, that was sadly not added in. Also several games which would have been nice to see – Gunster Heroes, Ranger X, The Thunderforce games from 1 to 4, Afterburner and any other Sega published or created games are sadly missing. But you do get several role play games, a hefty dose of Sonic, all three Streets of Rage, all four pre-online Phantasy star games, the first having been released on the Master System, Shining Force 1 and 2 and Shining in the Darkness as well as others. Maybe a second pack will be made, it would be great to see if Shining Force 3 finally gets a translation and a full release for the first time ever outside of Japan, Gunster Heroes and the Thunderforce games would be great to see on a second pack as well as Sonic CD and Sonic3 & Knuckles lock on feature. So is this worth getting? Yes and no. Yes if you remember the days when you were a kid or a teen playing on the old Mega Drive, the arcades and the Master System. If you hunger to go back in time with an old classic from your childhood days playing those machines, then this is a must buy. 49 games for under £30, that’s quite the deal when you consider how much they would cost separately on the online 360 market place and the Wii Virtual Console. No if you think graphics is the by all and end all of games, that anything that actually challenges you is too intimidating. Not every game is hard, but some have a very unforgiving challenge that really does test you. Also if you were hoping for the lock on feature from previous packs on the PS2 and so on, you won’t find it in this pack sadly. A good pack, could have been more, but as it is it’s a beaut and it really is wonderful to finally see the Streets of Rage games again after so long as well as more RPG’s. So if you’re up for a little time travel and regression, this could just be what you’re looking for. It’s not perfect, but it’s a definite worth while buy as long as you buy it just for the fun factor and not the graphics factor. Who needs to go 88 MPH when you can just use a controller? Here’s hoping there’s a possible second pack with even more classic gems. Fingers crossed. To the time machine!